Delos Records has just released the debut solo recording of American bel canto tenor John Osborn. Listening to this spectacular recital makes one wonder why it took so long. Born in 1972 in Sioux City, Iowa, Osborn has won awards on both sides of the Atlantic, starting with the Metropolitan Opera National Council Auditions when he was 21 years old, after which he entered the Met’s Young Artist’s Program. Osborn made a strong impression at the Met several years ago when, in Rossini’s “La Donna del Lago,” he traded high notes with Juan Diego Florez. 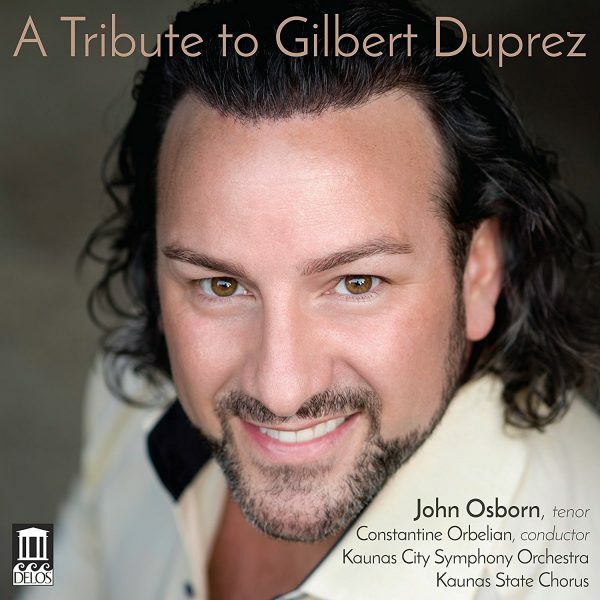 Osborn’s new album is titled “A Tribute to Gilbert Duprez,” in honor of the early 19th century French tenor (1806–1896). Duprez is credited as the first to sing high notes in a powerful chest voice rather than in falsetto. Thus, when Luciano Pavarotti was hailed as the “king of the high C’s,” it was for applying a technique that Duprez had introduced in the prior century. The recital album is comprised of arias from French language operas by Italian composers, with the exception of Berlioz. The opening pieces are from “Jérusalem” (1847), a lesser known opera by Giuseppe Verdi that was actually a revision of the composer’s “I Lombardi.” Considered Duprez’s last significant part, the lead tenor Gaston is a warrior in the Crusades. In the first aria, “Je veux encore entendre ta voix,” the hero has been captured by the enemy and thinks back to his last time with the woman he loves. In “O mes amis, mes frères d’armes,” he is sentenced to die and professes his innocence. 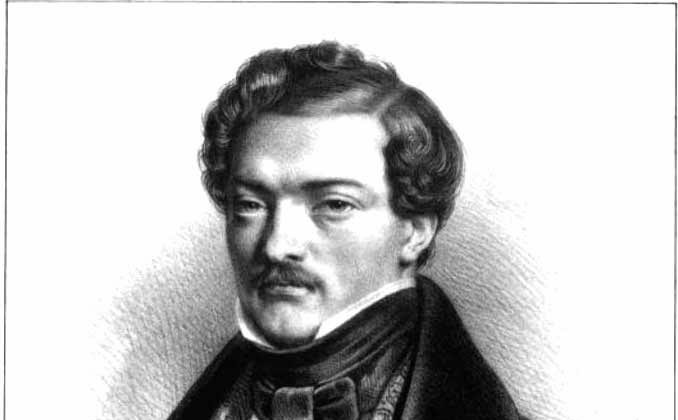 Duprez appeared in the 1840 premiere of Gaetano Donizetti’s “La Favorite.” In “Ange si pur,” the lead tenor Fernand pours out his despair at discovering that the object of his affections, Leonor, is not so pure; she has been a mistress of the king. “Les Martyrs” is a rarely performed Donizetti opera about the early Christians. In “Oui, j’irai dans leur temple,” the hero ignores his wife’s pleas and goes to the Roman temple with the intention of destroying it. “Benvenuto Cellini” (1838) by Hector Berlioz is a fictionalized work about the 16th-century Florentine sculptor. In “La gloire était ma seule idole,” he declares that love is more important than his career. “Sur les monts, les plus sauvages” expresses Cellini’s dissatisfaction with city life and wish for the simple life of a shepherd. The most familiar opera on the album is Donizetti’s “Lucie de Lammermoor,” although the work is usually performed in Italian. In “Bientôt l’herbe des champs croîtra,” Edgard laments Lucie’s madness and his own impending death. Finally, Rossini’s “Guillaume Tell” deals with the Swiss rebellion against Austrian oppression. “Asile héréditaire” contains the rousing call to his troops by protagonist Arnold to take revenge on the conquerors and free the imprisoned William Tell. Osborn’s singing throughout is exemplary, showing a mastery of 19th-century French style, clear enunciation, and ringing high notes. He also acts with his voice in arias that range from declarations of love to calls to arms. Osborn certainly proves that he is the right choice to honor the groundbreaking 19th-century tenor Duprez. The engineering of the album is excellent and, in the liner notes, Delos helpfully supplies the words of the arias in the original French with the English translations. “A Tribute to Gilbert Duprez” is a must for lovers of bel canto opera.